Communities in Chiapas are organizing to protect the Suyul Lagoon and communal lands from a planned multi-lane highway between the city of San Cristóbal de las Casas and Palenque, where Mayan ruins are a popular tourist destination. Candelaria residents continue to take action locally to protect the lagoon. They also travelled from community to community along the proposed highway route, forming a united movement opposing the project. Candelaria leaders sought assistance from FrayBa in 2014, after they were approached by government officials and pressured to sign a document indicating their consent to the highway project that would involve a 60-metre-wide easement through communally-held lands. Officials told community members that the highway was already approved and that they would be well compensated, but that there would be consequences if they refused to sign, Moshan said. “They told them they would suspend government programmes and services,” she explained. In the days following the extraordinary ejido assembly rejecting the project, there was unusual activity in the area, according to Moshan. Helicopters flew over the ejido, unknown individuals entered at night, and trees were marked, she said. The Suyul Lagoon is also sacred to local Maya Tzotzil. Ceremonies held every three years in its honour involve rituals, offerings, music and dance. It’s cold in February up in the highlands, but community members have been out all day, erecting a fence around the Suyul Lagoon to protect it from intruders. White fence posts are visible under the treeline across the sea of reeds. Like so many other local initiatives, fence materials are collectively financed by the ejido and the labour is all voluntary, communal work. After they were approached by government officials, Candelaria ejido residents travelled from community to community along the entire planned highway route. Some communities hadn’t heard of the project at all, while others said they were pressured into signing documents indicating their consent, Pérez Méndez said. 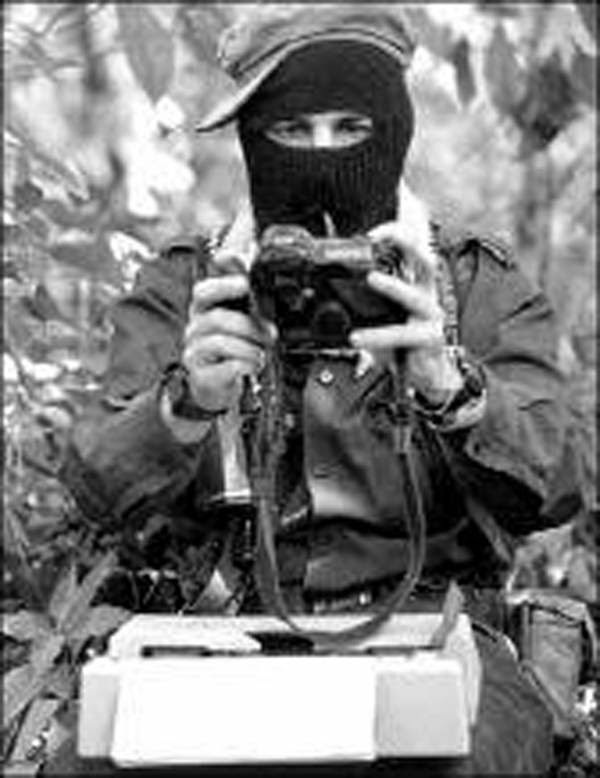 As a result of Candelaria’s visits, community organizing along the highway route led to the formation of a united front of opposition, the Movement in Defence of Life and Territory.